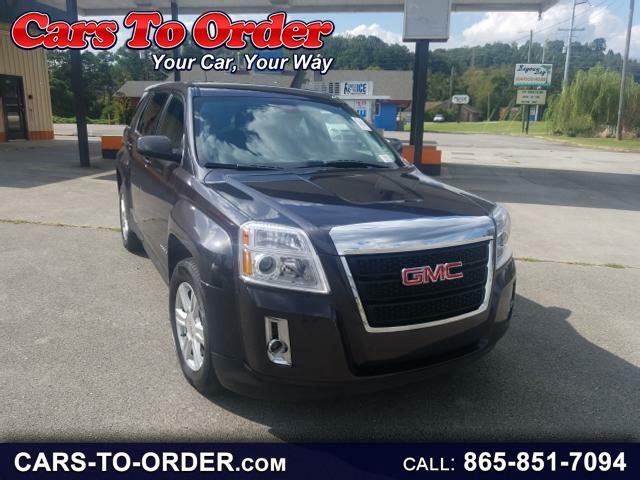 ACCIDENT FREE-AUTOCHECK CERTIFIED, BLUETOOTH, CLEAN, FAMILY FRIENDLY, USB PORTS, CRUISE CONTROL, TOWING ABILITY, KEYLESS ENTRY, NON-SMOKER, ONE OWNER, REAR BACK-UP CAMERA, TINTED WINDOWS, WELL MAINTAINED, OWER SEATS, POWER WINDOWS, LIKE NEW, ALLOY WHEELS. Recent Arrival! 32/22 Highway/City MPG Awards: JD Power Initial Quality Study * 2014 IIHS Top Safety Pick+ with optional front crash prevention * 2014 KBB.com Brand Image Awards Take the Short drive to satisfaction and experience the difference! On International Drive, down the road from high prices! Reviews: * If this size and type of vehicle fit your needs, and you'd like something with a more truck-like image and appeal, Source: KBB.com * Premium look inside and out; quiet interior; comfortable highway ride; spacious and adjustable backseat. Source: Edmunds * The 2014 GMC Terrain is designed to be the perfect combination of luxury and utility and it all starts with distinct, bold design features and striking grille. Every Terrain model has standard aluminum wheels to reduce weight and enhance fuel economy. Projector beam headlights and fog lamps keep visibility high regardless of weather conditions. The Terrain has a refined interior which features a color touch radio and an acoustic design meant to minimize outside noise. As a crossover, the terrain has the comfort and utility of a small SUV. A 60/40 split and folding second-row maximizes space and there is up to 39.9 inches of rear leg room. The steering wheel features conveniently mounted steering wheel controls. At the heart of Terrain's performance and power is the 2.4L I-4 VVT DI Engine. The 6-speed transmission offers a wide ratio spread for power in the low gears and efficiency in the high gears. The Standard rear vision camera displays in the center stack touch-screen, and alloys for easy, confidant parallel parking. Finally, the four-wheel independent suspension offers a smooth, steady ride and a precise feel for the road. The Terrain is equipped with 6 airbags, including thorax and side-impact. Plus, anti-lock brakes come standard.